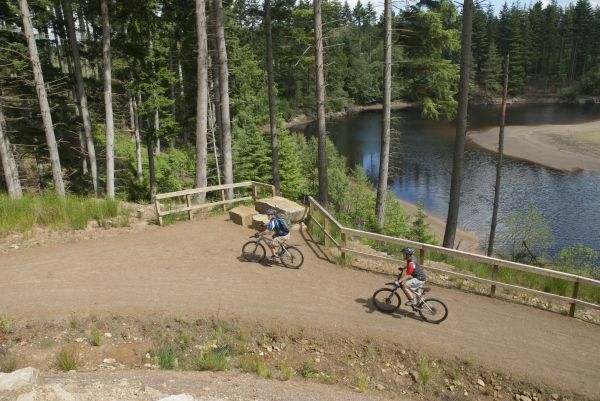 Kielder Water & Forest Park has been crowned the greatest place in the North East of England. The Park was nominated by local residents and visitors, and then awarded the title by a panel of judges. It will now go forward to a national public vote to decide England's Greatest Place. Director of Kielder Water & Forest Park Development Trust, Lynn Turner, said: “We’re delighted that Kielder Water & Forest Park will represent Northumberland and the North East in the England’s Great Places competition. “We work very hard with our partners to enhance and develop the Park and it’s great that the Royal Town Planning Institute have recognised this special place. Over 200 difference places were nominated to win one of the ten coveted individual regional awards. England's Great Places is a competition designed by the Royal Town Planning Institute (RTPI), the professional body for planners, to celebrate some of our most attractive and inspiring places. The RTPI and its members have been working with communities for a century to help create great places for people. The judges said Kielder Park was an ‘outstanding and worthy winner’, adding: "Kielder is a great place which has been created, managed and enhanced through sensitive planning providing a beautiful and distinctive area, including being one of the first dark sky areas for visitors and the community."